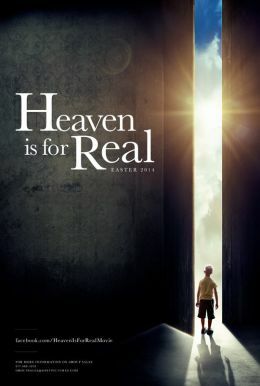 Based on the #1 New York Times best-selling book of the same name, HEAVEN IS FOR REAL brings to the screen the true story of a small-town father who must find the courage and conviction to share his son’s extraordinary, life-changing experience with the world. The film stars Academy Award® nominee and Emmy® award-winning actor Greg Kinnear as Todd Burpo and co-stars Kelly Reilly as Sonja Burpo, the real-life couple whose son Colton (newcomer Connor Corum) claims to have visited Heaven during a near death experience. Colton recounts the details of his amazing journey with childlike innocence and speaks matter-of-factly about things that happened before his birth... things he couldn't possibly know. Todd and his family are then challenged to examine the meaning from this remarkable event.